Brazeau County offers a tremendous range of sports facilities, which give the communities a lot of pride since these are great for visitors as well as the residents. 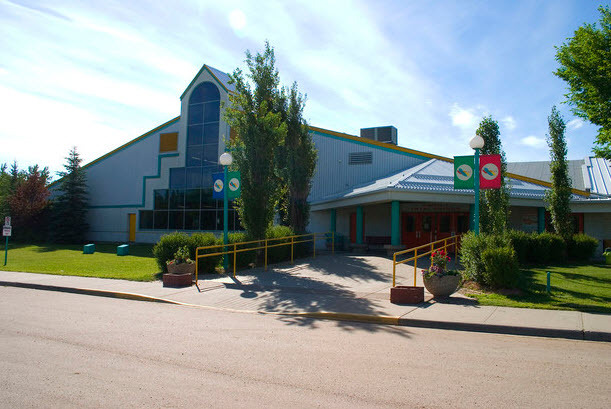 The sports facilities are something every tourist should take advantage of when they are in the Brazeau area. The Brazeau Sports Park is an activity hub for both baseball and soccer players and is conveniently located next to the County Administration Building. The park features four soccer fields as well as four slot pitch ball diamonds and is completely volunteer-driven by two community associations. Drayton Valley Slo Pitch League operates the ball diamonds, while the District Soccer Association and Drayton Valley take care of all operation of the soccer field. The Breton Bay Golf & Country Club was established in 1971. This semi-private country club features a full-service Pro Shop, premier 18-hole golf course, a toddler pool, large competition pool and the Ironwood Grill in the Club House. The Ironwood Grille is the perfect place to enjoy the picturesque Brenton Bay while ordering from the menu that offers weekly specials. The Ironwood is one of the most popular places where friends meet to enjoy pretty special food. Open from early to late visitors can plan a hearty breakfast just after a few rounds of golf. The Brenton Bay Golf and Country Club also offers great family time and after a few dips in the pool, the special menu for Tuesday nights are Quesadilla and Margaritas. Wednesdays are wing nights and if it is pizza you love, be sure to attend the Pizza Friday nights. The Ironwood Grill standard menu features an interesting variety of starters including Onion Petals, Bang Ban Shrimp and Loaded Nachos served with a choice of Beef or Chicken piled over tortilla chips dipped in melted cheese and topped with jalapenos, onions, lettuce and tomato. The most favoured items on the menu are the baskets served with onion rings or French fries, the basket options include the Shrimp Basket, Chicken Tenders and Fish and Chips with pub fries, beer battered cod served with tartar sauce. Ironwood is also known for its scrumptious range of burgers including the Classic Cheeseburger, Back Tee Burger, Patty Melt, and The Texan. Pizza bases include the cheese 16” and 10”, while you get to add toppings such as olives, jalapenos, green peppers, chicken, ham, bacon, sausage, pepperoni, extra cheese and tomato. Yet the highlight of the Ironwood Grill menu is the unique dessert called Sweet Potato Fries, which consists of sweet potato fries tossed in cinnamon-sugar and then drizzled with vanilla icing, while the milkshake flavours include Rees pieces and Butterfinger, Smores, Cookies and Cream, Chocolate Chip and Reese Cup.